Smiles and fun at LIFTED Live! In the Forecourt 2018. Image: Diocese of Parramatta. 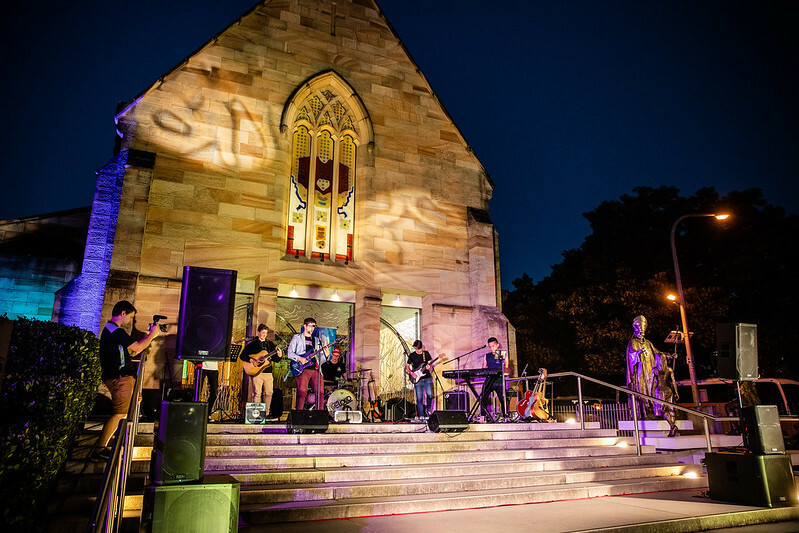 Spirits were lifted as more than 500 youth and young adults from across Western Sydney and the Blue Mountains enjoyed a night under the stars at St Patrick’s Cathedral, Parramatta on 28 October 2018. The 4th Annual LIFTED Live! In the Forecourt celebrates the spirit of youth and the feast day of St John Paul II, founder of the Diocese of Parramatta and World Youth Day. The evening was filled with rides, live music, carnival games and stalls selling a variety of food options and merchandise. Parish youth groups and students from local high schools showcased their incredible talents performing setlists across three stages. The crowds needed no prompting as they sang along and danced the night away. This year, for the first time, the Blessed Sacrament was exposed in St Patrick’s Cathedral, providing a space for youth to spend time in prayer and reflection with Jesus. In his address, Bishop of Parramatta, Bishop Vincent Long OFM Conv shared his appreciation for the youth of the Diocese and acknowledge the significance of young people in the life of the Church. Inspired by the Year of Youth and the Synod 2018, Bishop Vincent announced that he will be gathering youth in the near future to listen more closely to the hopes and concerns young people experience. The Catholic Youth Parramatta team thanks everyone who was involved, including the stall holders, performers, Deanery Ambassadors and volunteers.